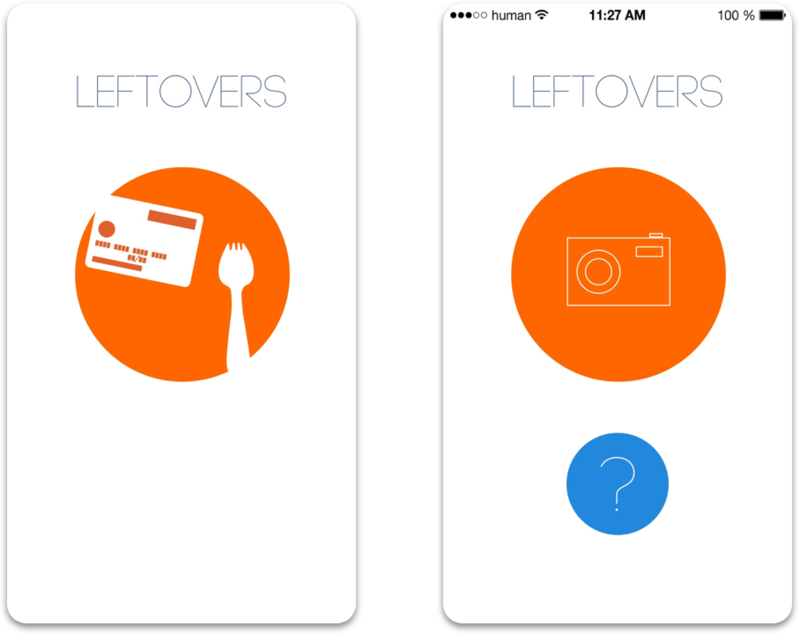 The Leftovers App is an idea I had to help fight hunger. 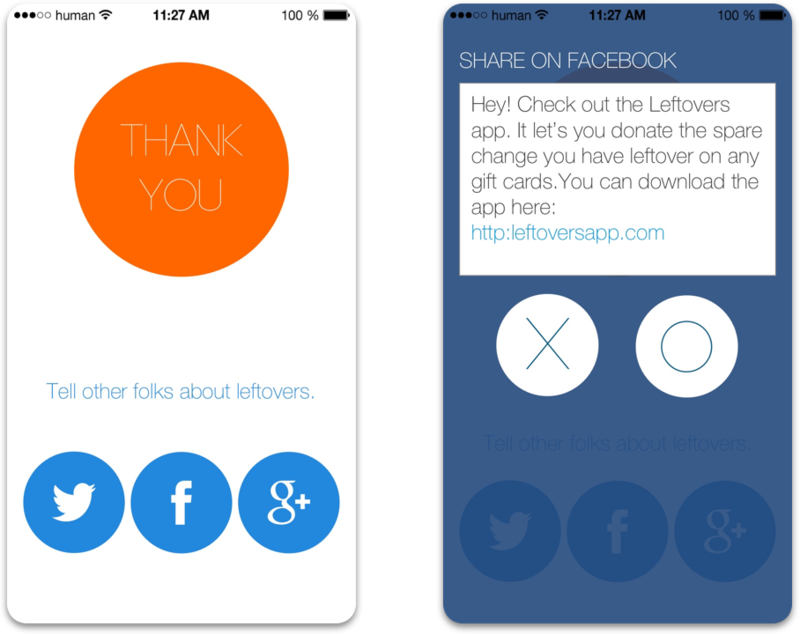 The goal is for people to use the leftover change we always have on gift cards as donations. Each year billions of dollars of leftover change on gift cards go right back into the pockets of the card issuers. 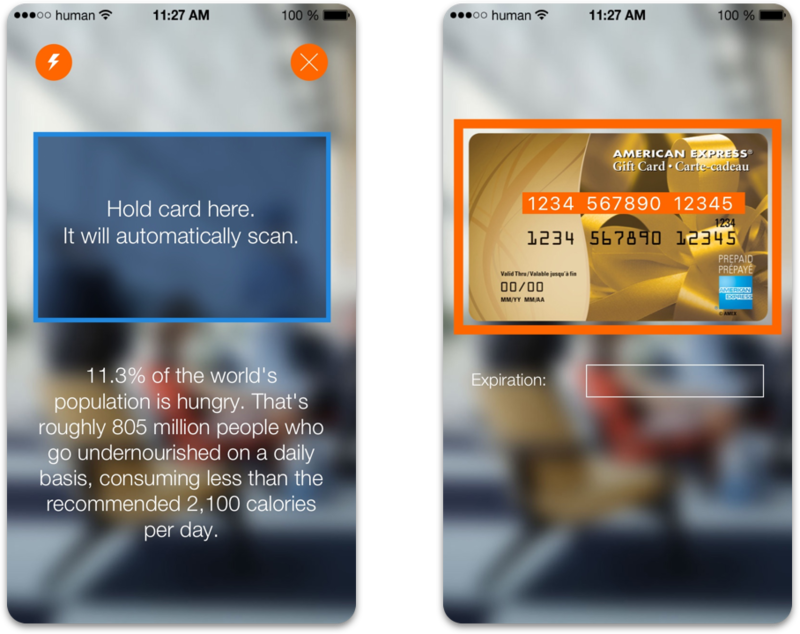 Instead of all this money going back to the corporations that don't need it, users can simply use their mobile devices to scan the cards and choose an amount to donate. 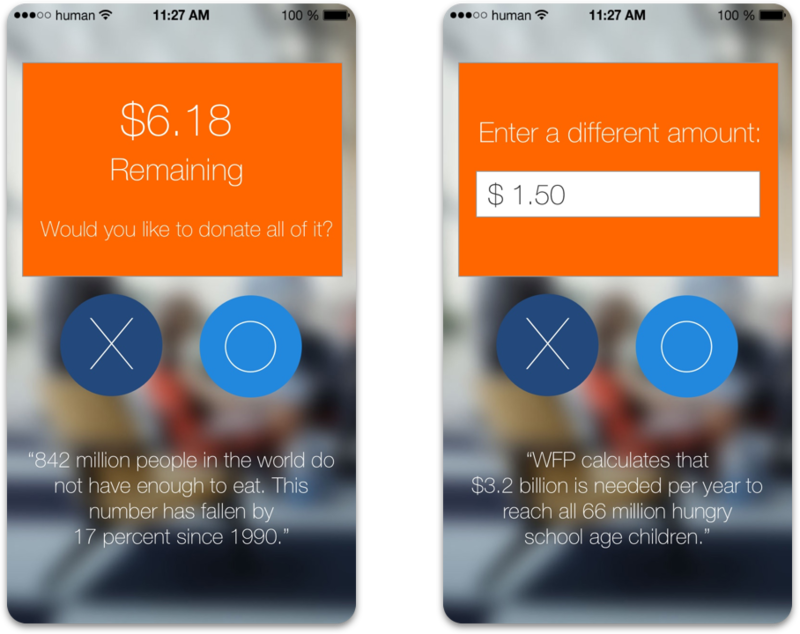 All proceeds are doled out to various partner charities that help to fight hunger around the world. All branding, UX and visual design was done by me. The project is currently in development.